OSCAR bodies! The appeal of over the counter weight loss pills | LOLA Pharm.D. MUST. LOSE. WEIGHT. These were the thoughts of probably more than 50% of women watching the Oscars tonight, including myself. Trendy, slinky evening gowns on toned, skinny, size 0 bodies. How do these ladies stay so lean, trim and fab?! I know most of us revisited our New-Year resolutions tonight – DROP THOSE EXTRA POUNDS! On days like these, the temptation to use over-the-counter weight-loss pills to lose weight fast is hard to resist. After all they are over-the-counter, so they must be risk free, right? The answer is NO! Many weight loss pills haven’t been proven to be effective, and some may even be flat out dangerous. Unlike prescription medications, dietary supplements and weight-loss pills are not subject to the same rigorous standards and do not go through the Food and Drug Administration (FDA) stringent approval process. As a result, these products can advertise all sorts of claims about their product without much proof of effectiveness or safety. It is only after the product is on the market, that the FDA is able to monitor its safety and can ban or recall dangerous products. So before you go running to your local pharmacies, online or health food stores – let’s have a look at the more common weight loss pills. Check the facts and do your research before you buy. The FDA website is a good place to check for alerts about safety concerns, harmful ingredients and product recalls. 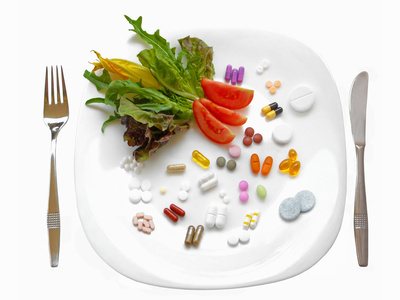 Over-the-counter pills, dietary supplements, natural pills CAN interact with your prescription medications. If you are taking other medications or have a medical condition, it is very important to consult with a health care professional. Many weight-loss pills contain ingredients such as caffeine, herbs, laxatives, botanicals, vitamins, and minerals – adding weight-loss pills to the mix can be tricky. Do not share pills with friends or family members. You know when they said no good thing comes easy, well they were right. It is highly unlikely that your weight problems can be solved by one single pill. And even if it does help you lose some weight, you will probably have to take them consistently which may be unsafe, expensive and impractical. In order to lose the weight and keep the weight off, you still have to eat fewer calories and do some exercise which is the most effective way to drop those pounds anyway. So before you swipe that credit card for that weight-loss pill, consider if these pills are really worth the money or are they only going to lighten your wallet. ← Ugh!…I woke up with a nasty cold sore, and I have a date tomorrow! What do I do? ?